From milkshakes to fruit juices, there are no beverages quite as refreshing and delicious as smoothies. And on top of that, they’re healthy. Whether you’re just craving something sweet or want a refresher after an invigorating workout, check out the eight best smoothie places in South Dakota. Sure, juice is good. But do you know what's even better? A smoothie made with real fruit, freshly made exactly how you want it. Their smoothies are made with only fresh fruits with no sugary purees, no fruit-flavored syrups, and no smoothie mixes... just the real, authentic thing. Some of the available flavors include strawberry and/or banana, tropical and fruity, sour, berries and more, or milk drinks like raspberry chai. Customers can choose from a huge selection of fruits like apples, blueberries, pineapple, peach, boysenberry, banana, orange, strawberry, mango, apricot, watermelon, coconut, among others. No matter what you order, it is guaranteed healthy and fresh at Sioux Falls' Juice Stop! 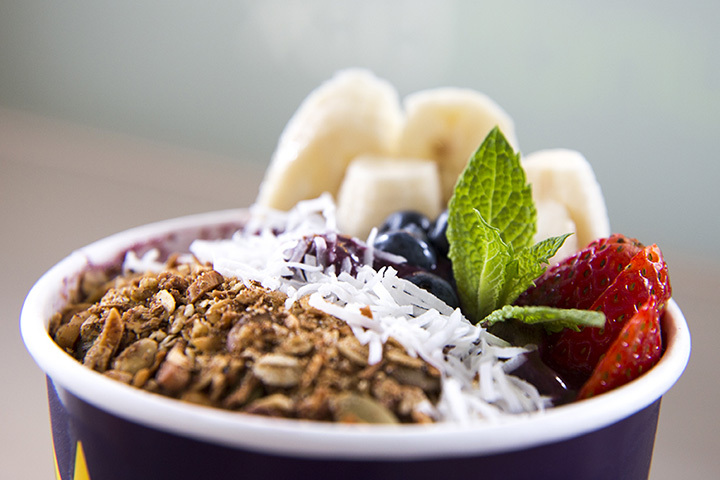 With juice, mouthwatering acai bowls, and smoothies, Nature's Way Juice Bar in Sioux Falls is a healthy mecca for tasty choices while keeping slim and fit. The acai bowls are absolutely Instagram-worthy, as well as delicious, as they are served in a hollowed out half pineapple and stuffed full of healthy favorites. The smoothies and juices are made with real fruits and veggies, instead of flavorings, ensuring that they are as nutritious and delicious as possible! The shop is locally owned and operated, and customers rave about how kind and helpful the staff and owners are. Sioux Falls is definitely improved by having such a positive store in the community. Tropical Smoothie Cafe's motto is "eat better; feel better" and they certainly help customers live up to that by offering tons of healthy, nutritious menu options that don't break the bank. While this store was only unveiled in December 2016, it has already made a big splash in Rapid City, with customers clamoring for more! Their signature smoothies are made with fresh fruits and veggies, and the menu includes other options like toasted wraps, sandwiches, flatbreads, and gourmet owls. Their menu offers an array of smoothies with tons of varying ingredients, with some of their most popular smoothies being Beach Bum (strawberries, banana, chocolate), Kiwi Quencher (kiwi, strawberries, non-fat yogurt), Blueberry Bliss (blueberries, strawberries, banana), or Blimey Limey (strawberries, pineapple, orange juice, and lime). Located beside one of Watertown's best gyms, the Gym Inc., Smoothie Plus serves up nutritious smoothies packed with 20 grams of protein with much less sugar than traditional smoothies, making it the perfect post-workout snack to replenish your energy. In addition to the health benefits, these smoothies also taste absolutely delicious. As their website states, it's like having dessert without the guilt! This quaint little coffee shop is located next to the bustling Ellsworth Air Force Base in Box Elder. They serve not only coffee but also smoothies and handmade shakes as well as food options. Try one of their many smoothie options for a healthy and tasty treat! Conveniently located in scenic Main Street Square, the unofficial center of Rapid City, Alternative Fuel Coffee House serves up fresh coffee and drinks with local pride, even roasting their coffee completely in state! Not only do they serve up coffee, they also offer quiche, homemade desserts, and, of course, fruit smoothies! Smoothie lovers and health nuts alike will love their "fit fuel" smoothies, all of which are 24 ounces and under 350 calories. Customers can choose from Harvest Blast (carrots, peaches, banana, local organic honey, cinnamon, apples, and almond milk), Green Monster (spinach, peaches, banana, and local organic honey), or Prairie Power (kale, blueberries, local organic honey, banana, and almond milk) with optional add ins like chia seeds, flax, soy protein, bee pollen, whey protein, or Phytofood. You can have your smoothie and drink it too with these healthy options! Pierre's Branding Iron Bistro is a local favorite gathering place to drink beverages, grab a bite to eat, and soak in the atmosphere of the town. Smoothies are only available in 16 ounces, but they have a wide selection of flavors to choose from. Customers rave about the beet and berry smoothie, so make sure to give this creative concoction a taste!